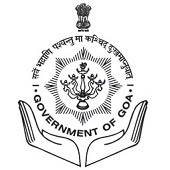 Online Application Details for Government of Goa Goa Forest Department Recruitment of 42 Forest Guard is given below. Application form and duly attested documents are to be sent to Principal Chief Conservator of Forests, Government of Goa, Forest Department, Gomantak Maratha Samaj Building, Panaji/to the Office of Dy. Conservator of Forests, North Goa Division Ponda/to the Office of Dy. Conservator of Forests, South Goa Division Margao. In envelope super scribed with 'Application for the Post of Post Name'.